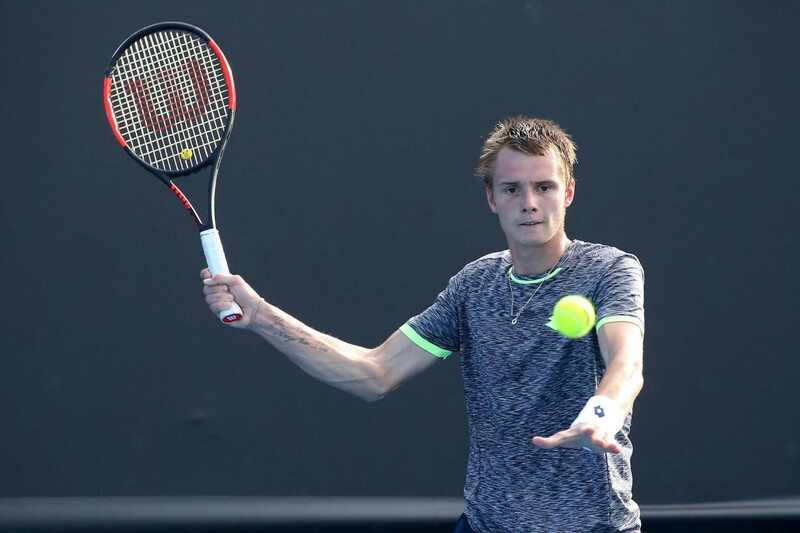 NUR-SULTAN – Kazakh tennis player Alexander Bublik won the Association of Tennis Professionals (ATP) Challenger tournament in Monterrey, Mexico, entering ATP’s top 100 ranking. Alexander Bublik. Photo credit: olympic.kz. Bublik defeated Serb Pedja Krstin and American Mitchell Krueger in the second and third rounds, respectively, then beat Spaniard Feliciano Lopez in the quarterfinals, 7-6 (5), 6-3. In the semi-finals, he topped American Tennys Sandgren in three sets, 2-6, 6-2 and 7-6 (5). Bublik then defeated Ecuadorian Emilio Gomez in the final match, 6-3, 6-2, to win his third tournament of the year, reported sports.kz. Bublik (99th) advanced 21 positions to enter ATP’s recently-updated top 100. Fellow countryperson Mikhail Kukushkin stands at 44th, the highest position among Kazakh tennis players. Serb Novak Djokovic, Spaniard Rafael Nadal and German Alexander Zverev are ranked number one, two and three, respectively. Bublik was born June 17, 1997, in Gatchina, Saint Petersburg, according to his website. 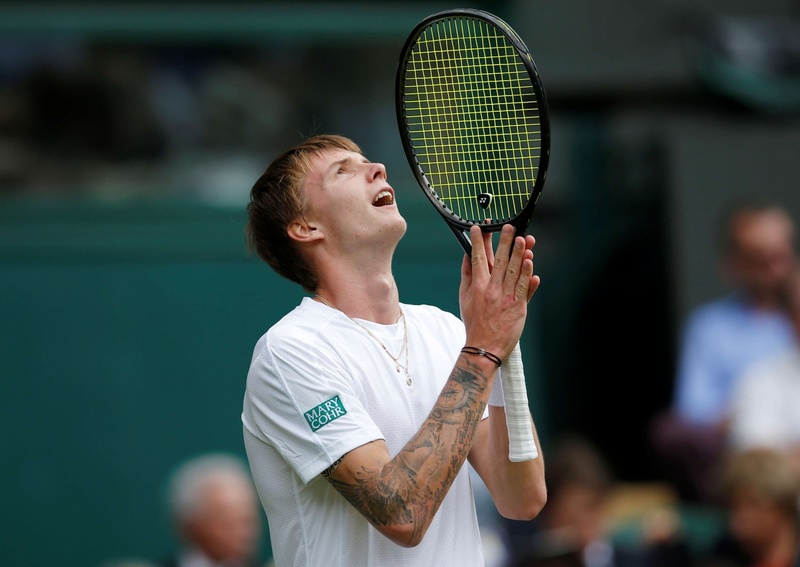 His father and coach, Stanislav Bublik, introduced him to tennis at age two. “A former junior top 20, Alex is from the same generation of highly talented players such as Zverev, [Taylor] Fritz and his co-nationals [Karen] Khachanov, [Andrey] Rublev and [Roman] Saffiulin. A bit crazy, aggressive and highly competitive player on court, Alex is recognised by his peers to be a fun, smiling and warm character off the court,” it notes. Bublik turned pro in 2014. Two years later, he played his first ATP tournament in Saint Petersburg, moving more than 700 positions in the ATP ranking (from 964 to 205) and drawing the attention of the sports community. In November 2016, he announced he would represent Kazakhstan. He entered the top 100 in 2017 after winning the Cuernavaca and Aptos ATP Challengers and reaching the quarterfinals in the ATP 250 tournament in Moscow. He also reached the draws at the Australian Open and Wimbledon. A foot injury at Indian Wells, California (U.S.) in 2018 dropped him to 250th, but he managed to close the year ranked 170th. The ATP Challenger Tour is a series of professional tennis competitions. In recent years, more than 150 competitions per year (178 in 2008) have been held in more than 40 countries, including those where tennis is a new sport. Players who succeed on the international men’s ATP Challenger Tour earn ranking points to become eligible for the main draw or qualifying draw entry at ATP World Tour tournaments. NUR-SULTAN – Professional and amateur athletes will run for charity in the capital’s annual BI Marathon May 26, reports the Nur-Sultan Akimat (city administration) press service. The event aims to develop sports in the country, familiarise people with physical education, popularise a healthy lifestyle and support charity and social responsibility. Funds raised from the event will go to charity foundation BI Zhuldyzai for the treatment and rehabilitation of children with cerebral palsy. Running distances include two kilometres for participants under 14 years old, five kilometres for participants between 14 and 16, 10 kilometres for participants over 16, and 21 kilometres and 42.2 kilometres for participants over 18. Nordic walking is an option for athletes of the 10-kilometre race, and corporate participants may run a relay race. Registration to participate began Dec. 16, earlier than in previous years, to encourage greater participation and preparation. By the end of May, athletes will have had sufficient time to have thoroughly prepared for their chosen distance. Ten thousand athletes are expected to run. Serik Sapiyev, a 2012 Summer Olympic Games gold medallist in boxing in the welterweight division, recently confirmed his participation. This year’s route will differ from past races and include exiting the park, running along four streets and the Yessil River embankment and a start and finish line at Triathlon Park. “Live music along the route, a novelty in 2018, will become a tradition and give strength and spirit to the runners,” said BI Marathon Sports Director Sergey Bodrov. Last year, 7,200 athletes completed the race, including 4,323 men and 2,877 women and 2,131 of the participants were BI Group representatives. They consumed 45,544 litres of water and ran 168,465 kilometres altogether. The best result was 2 hours, 34 minutes and 44 seconds for the full distance. 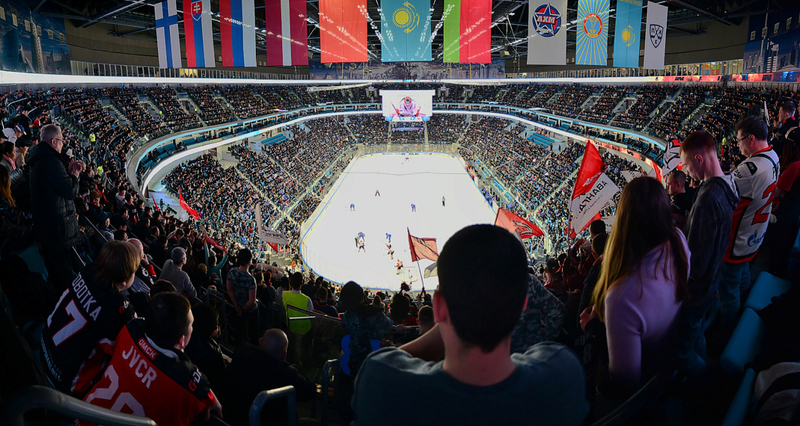 NUR-SULTAN – Astana’s Barys Hockey Club will use a North American NHL-sized rink during the Kontinental Hockey League (KHL) 2019 to 2020 season, Barys President Boris Ivanishchev told an April 2 press conference. Photo credit: hcbarys.kz. 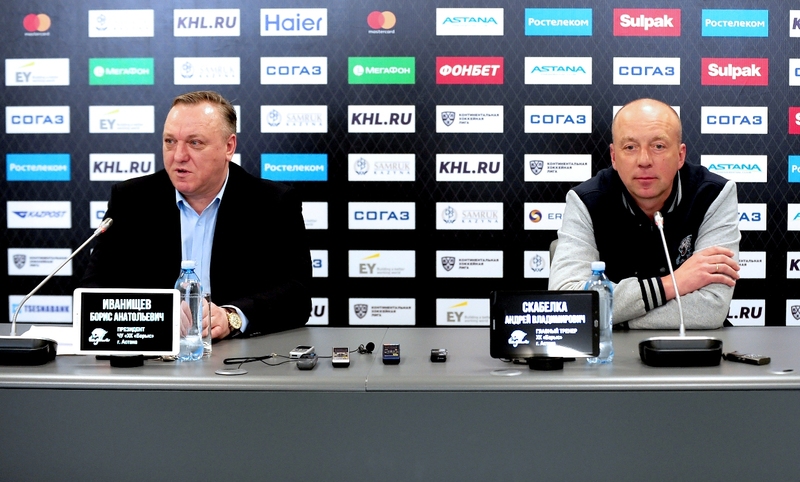 President of Barys HC Boris Ivanishchev (L) and head coach Andrei Skabelka. The club also announced plans to play KHL regular season games in Almaty in September. “We plan to introduce NHL standards in rink size this summer. The International Ice Hockey Federation (IHF) considers smaller, NHL-sized rinks by 2022. We need to prepare for this innovation,” he said. Olympic-size hockey rinks are typically about 15 feet wider than a standard NHL rink. Ivanishchev also discussed the clubs that will take part in the 2019 Cup of the President Championship in the capital. “Ak Bars Kazan and Avtomobilist Yekaterinburg Hockey Clubs have already confirmed their participation. Negotiations are underway with a foreign team. Overall, five teams will play in one round,” he said. 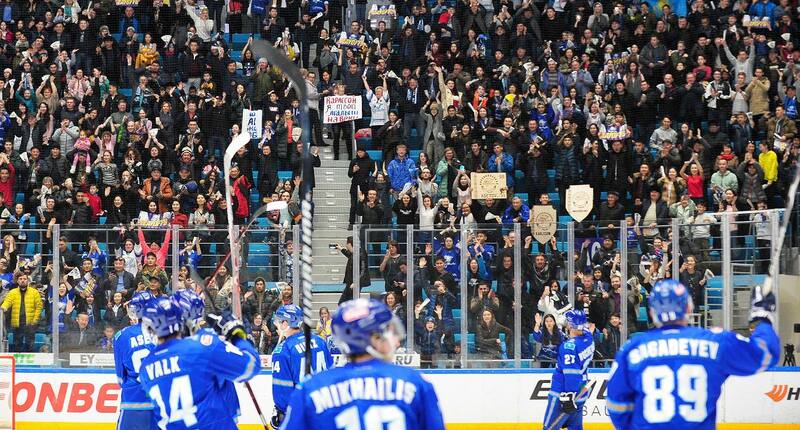 Barys will begin its pre-season games at its home arena, then travel to Europe. “The team will participate in a tournament in Switzerland and play two more friendly matches. There will be no preseason games in Almaty,” he said. Barys club won the Chernyshev division and took second place in the KHL Eastern Conference. 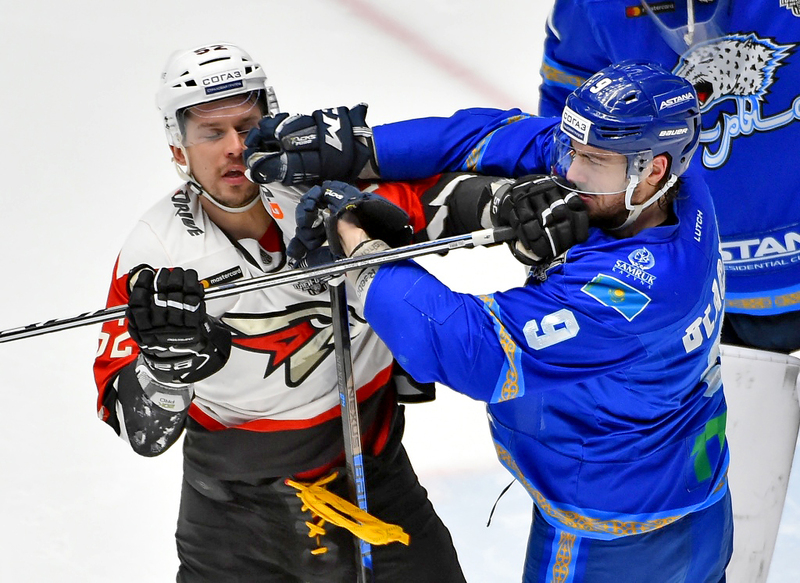 The club beat Nizhny Novgorod’s Torpedo Hockey Club 3:2 in the seventh game of their quarterfinals series, but lost to Avangard Omsk Hockey Club in the semi-finals. These are good results, given the team’s relatively small budget when compared to the rest of the KHL, some experts say, but with more funding might come more success. “We achieved good results in the regular season but we missed our chances in the playoffs. There was a shortage of qualified players. We didn’t have sufficient capital to sign experienced players. Of course, we had ambitions to play further. Each team wants to win the Gagarin Cup. We also strive for this. We have a good team but they lack skill. We need to increase our budget in order to play in the finals of the conference. We need financial assistance to attract players who can play for that result,” the club president said. Barys and national team head coach Andrei Skabelka said the club’s management, fans and players did their best to win in this season. “Everyone was ready to go and to fight. The players showed their character, aspiration and skill. I think we can divide the season into two parts. We were pleased with the achievements in the regular championship. But we didn’t succeed in the playoffs. Due to this, we cannot be completely satisfied with the season. I want to thank our audience and fans for their support. We are one with the fans. We had a busy schedule and many guest games. But in general, we took a step forward and became stronger,” he added. News about new contracts and players will be available in the near future. KHL observer Alessandro Seren Rosso summed up the results of the season for the Kazakh team. “Under their new coach Andrei Skabelka, Barys had a strong season. Their international players delivered, but local players like Roman Starchenko and Nikita Mikhailis also had substantial contributions, especially in the regular season… With this foundation, Barys will most likely be once again one of the teams to beat in the Eastern Conference. Multiple key players are under contract for the next season, like Darren Dietz, Henrik Karlsson, and Nikita Mikhailis, and indeed the boards will manage to retain some of the talents that moved to Kazakhstan last summer. Astana seems to have found the right coach in Skabelka after a couple of disappointing seasons,” he wrote on khl.ru. Barys hockey players will play with the national team at the 2019 IIHF Ice Hockey World Championship Division I Group A April 29 to May 5 at Barys Arena. The teams playing for promotion will be Belarus, Hungary, Lithuania, Korea, Kazakhstan and Slovenia. The top two teams will go on to the 2020 IIHF Ice Hockey World Championship in Switzerland. NUR-SULTAN – The Kazakh National Olympic Committee will release a calendar with photos of Kazakh athletes dedicated to Nauryz holiday. The athletes’ fans can win the calendar with their autographs. The committee will unveil the details of the contest later in its social networks. According to the committee, organisers wanted to show the athletes outside of sports. “Kazakh athletes have won many medals at the largest competitions and glorify our country in the international arena. Not only awards, but also any worthy result at world tournaments is a hard, everyday work of each athlete. During competitions and training sessions, we, ordinary fans, often do not even realise that athletes might look different (outside of sports),” announced the committee. “Despite the fact that we all have common goals – the conquest of prestigious awards, – everyone has a completely different side. This is primarily about athletes who do not open [their personality] in tournaments. This is what we are made up of except for competitions and training. During the project, we were able to show our individuality… I gladly agreed to participate in this project… I hope people will like it,” said swimmer and Olympic gold medallist Dmitriy Balandin. Another idea of this project is to demonstrate the unity of the Olympic team. Athletes occupied in different sports were on the same film set and worked together to achieve a common result. World Judo Championship silver medallist Yerlan Serikzhanov rode a horse and was photographed with the winner of a number of international equestrian tournaments Nurila Turisbekova. Thirty athletes took part in the photo shoots. Among them were mogulist Yuliya Galysheva, cyclist Alexey Lutsenko, boxers Vasily Levit and Nazym Kyzaybay, wrestler Aidos Sultangali, taekwondo fighter Jansel Deniz, gymnast Alina Adilkhanova, water polo players Miras Aubakirov and Azhar Alibayeva, karate fighter Guzalia Gafurova, Kazakh National Table Tennis Team’s leader Kirill Gerasimenko, synchronised swimmers Alexandra and Yekaterina Nemich, skaters Yekaterina Aidova and Stanislav Palkin and gymnast Milad Karimi. NUR-SULTAN – Kazakh figure skater Elizabet Tursynbayeva, who won the silver medal at the 2019 World Figure Skating Championship in Saitama, Japan March 22, made history in the process. She is the country’s first female athlete to receive a medal and first woman to complete a quadruple salchow at the event. 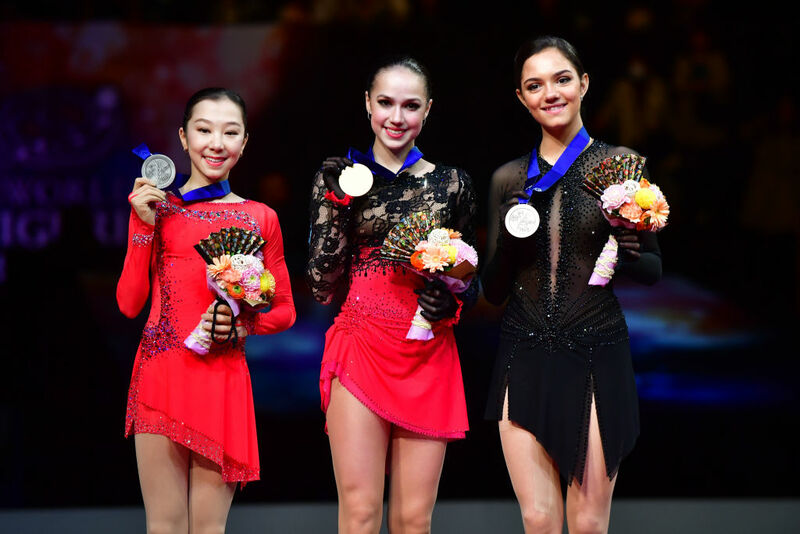 L to R: Silver medlist Elizabet Tursynbaeva of Kazakhstan, gold medalist Alina Zagitova of Russia and bronze medalist Yevgenia Medvedeva of Russia. Photo credit: isu.org. “I am overwhelmed with emotions. The silver medal was a surprise for me. Of course, I am very happy. This is the first medal in the history of Kazakhstan in women’s single skating. I tried not to think about anything when I performed. I just focused on my programme. I still cannot believe that I made this jump. Everything was good in the morning training today, but I could not do it in the last two competitions. I am very glad that it happened today. When I went on the ice, I felt great; I believed that I could do this and I really did it,” she said at the final press conference, reported olympics.kz. Tursynbayeva captured the bronze medal in the short programme, yielding only to Japan’s Kaori Sakamoto and Russia’s Alina Zagitova. The quadruple salchow in her long programme was a history-making moment not just for Kazakhstan, but for world figure skating, as no female athlete had ever performed the jump at the World Championship. The judges rated her performance at 148.80 points and her 224.76-point total earned the silver medal. Zagitova took home the gold, scoring 237.50. Fellow Russian Evgenia Medvedeva won the bronze, scoring 223.80. Tursynbayeva dedicated her exhibition performance to Denis Ten, the Kazakh figure skater who died July 19 in Almaty. His bronze medal at the 2014 Olympics in Sochi was the culmination of his career, as he became the first and only Kazakh figure skater to ascend the Olympic pedestal. He also won the 2013 and 2015 World Championship medals and many smaller tournaments. Forty-two athletes from more than 30 countries performed in the women’s singles at this year’s World Championships, 24 of whom qualified for free skating. ASTANA – Kazakh professional tennis player Alexander Bublik won March 3 the inaugural Teréga Open Pau-Pyrénées in the singles final in the city of Pau, France. This is his second trophy of 2019 season and the fifth in his career on the Association of Tennis Professionals (ATP) Challenger Tours. In the final match, Bublik beat Norbert Gombos from Slovakia 5-7, 6-3, 6-3, reports sports.kz. During the one hour and 44 minutes match, Bublik fired 13 aces, winning 77 percent of his first service points. He won his first trophy of the season Feb. 10 at Hungarian Challenger Open in Budapest. The second ATP Challenger trophy brings Bublik 90 ATP Ranking points and a cash prize of $10,431.5. The tournament’s prize fund is $78,548.7. Earlier the same day, British Scott Clayton and Canadian Adil Shamasdin won the doubles final of the tournament. The unseeded duo fought past No. 4 seeds Sander Arends from the Netherlands and Tristan-Samuel Weissborn of Austria with scores 7-6(4), 5-7, 10-8. In his previous matches in the tournament, Bublik encountered Javier Barranco Cosano of Spain and beat him 6-4, 6-4. Also, he beat Jan Choinski from the United Kingdom (6-4, 6-2) and two players from France, Maxime Janvier (6-1, 7-5) and Grégoire Barrère (7-6, 7-5). At the age of 21, Bublik is 153rd in singles, 300th in doubles in the world ranking. He is seven-time winner of tournaments of the International Tennis Federation (ITF) Futures series, the lowest ladder in world professional tennis tournaments, in years 2014, 2015 and 2016. Bublik won silver at the Asian Games in 2018. Pau is the cultural and sports capital of the Nouvelle-Aquitaine region in France located at the northern edge of the Pyrénées Mountains. The ATP Challenger Tour winners can advance to play for the main draw or qualifying draw entry at ATP World Tour tournaments. 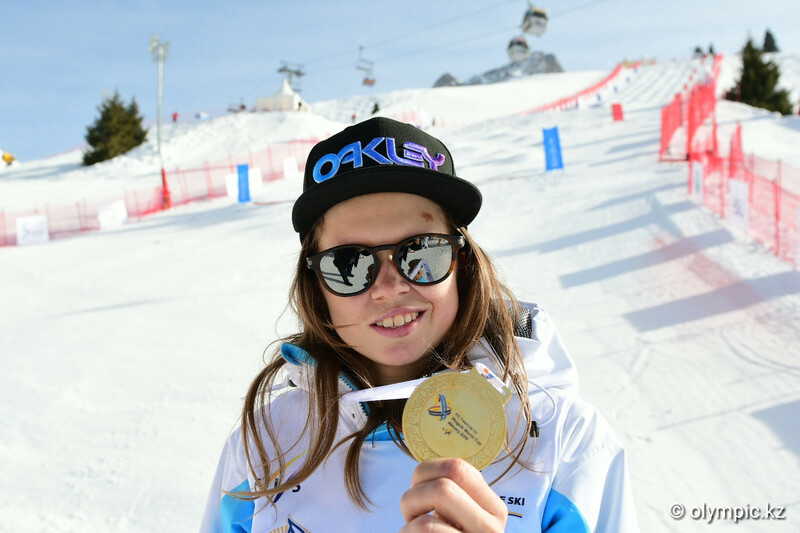 ASTANA – Kazakh professional freestyle skier Yulia Galysheva won a gold medal March 2 in moguls at the 2018-2019 International Ski Federation (FIS, Fédération Internationale de Ski) Freestyle Ski World Cup stage in Almaty, reports the National Olympic Committee press service. Yulia Galysheva. Photo credit: olympic.kz. She earned first place in the moguls final stage with 79.69 points, followed by French skier Perrine Laffont with 79.11 points and Canadian skier Justine Dufour-Lapointe with 76.64 points. Previously, this World Cup season, Galysheva won a silver medal Dec. 7 in moguls in Finland, a bronze medal Dec. 16 in dual moguls in China, a gold medal Jan. 12 in moguls in Canada and a bronze medal Feb. 23 in moguls in Japan. She also won a gold medal Feb. 9 with 79.14 points at the 2019 FIS Ladies’ Moguls World Championship in the United States, ahead of Australian skier Jakara Anthony with 78.99 points and Laffont with 78.70 points. She now ranks fourth in moguls with 533 points. Ahead of her in the World Cup rankings are Anthony with 545 points, American skier Jaelin Kauf with 570 points and Laffont with 780 points. The 2018-2019 FIS Freestyle Ski World Cup is the 40th World Cup season in freestyle skiing organised by FIS since 1980, featuring the disciplines such as moguls, aerials, ski cross, halfpipe, slopestyle and big air. The season began Sept. 7 and ends March 30. World Cup competitions have been hosted in Australia, Austria, Belarus, Canada, China, Croatia Czech Republic, Finland, France, Germany, Italy, Japan, New Zealand, Norway, Russia, Slovenia, South Korea, Spain, Sweden, Switzerland, Ukraine and the United States. This March, Kazakhstan hosted the cup for the first time. ASTANA – Kazakh tennis player Alexander Bublik won the 2019 Hungarian Challenger Open, an Association of Tennis Professionals (ATP) Challenger Tour tournament, held Feb. 4-10 in Budapest. Alexander Bublik. Photo credit: informburo.kz. Bublik beat Italian Roberto Marcora in the finals 6-0, 6-3. During the 55-minute game, the 21-year-old served five breaks and seven aces, making just two mistakes. Marcora, 29, made three aces and the same number of faults, reported sports.kz. The meeting was the first between the two. At the time of the game, Bublik was 172nd in the ATP ranking; Marcora, 283rd. This title was Bublik’s fourth on the Challenger Tour, bringing him a career total 80 rating points. The first-place finish was his eighth tournament win, including the International Tennis Federation and ATP Challenger tours. The tournament, held since 2016, was previously won in single draws by Canadian Vashek Pospisil (2018), Austrian Jürgen Melzer (2017) and Romanian Marius Kopil (2016). This year’s prize fund was 64,000 euros (US$72,294). Bublik debuted in the Davis Cup last week for the Kazakh national team, winning both matches, and his team defeated Portugal to reach the final stage. The finals will be held in November in Madrid. According to the recent ATP ranking, Kazakh tennis player Mikhail Kukushkin improved his position by two lines to 53rd place. After the Hungarian tournament, Bublik improved to 144th and Kazakh player Alexander Nedovesov from 190th to 188th. Novak Djokovic (Serbia) leads the ATP ranking, followed by Rafael Nadal (Spain) and Alexander Zverev (Germany). Players who succeed on the international men’s ATP Challenger Tour earn ranking points to become eligible for the main draw or qualifying draw entry at ATP World Tour tournaments. ASTANA – International Paralympic Committee (IPC) President Andrew Parsons visited Kazakhstan for the first time Jan. 30-31, reports the Astana Akimat (city administration) press service. Andrew Parsons and Bakytzhan Sagintayev (L-R). Photo credit: primeminister.kz. He began his visit at the capital’s Paralympic Training Centre, which was opened in July as part of the Tugan Zher (Motherland) state programme and is furnished with special sports equipment and facilities for people with varying degrees of ability. “I have visited many centres in the world and few places have such beautiful facilities as your training centre for para-athletes and people with disabilities. Here, everything is built according to international standards for accessibility,” he said upon inspecting the centre. Andrew Parsons visiting the Paralympic Training Centre. Photo credit: prosports.kz. Later that day, the IPC head met with Kazakh Minister of Culture and Sports Arystanbek Mukhamediuly, Astana Deputy Akim (Mayor) Yermek Amanshayev, Ministry of Culture and Sport’s Committee for Sports and Physical Education Chairman Serik Sapiyev and Paralympians Zulfiya Gabidullina and Alexander Kolyadin. On the second day of his visit, Parsons and Prime Minister Bakytzhan Sagintayev discussed the 2019 World Para Powerlifting Championships, to be hosted by the capital July 12-20, and Paralympic sports development in Kazakhstan more broadly. The former is an event organised by the IPC every four years, in which athletes with physical and intellectual disabilities compete. It will be an important stop for para-athletes’ qualification pathway to the 2020 Tokyo Paralympic Games. Founded in 1989, the IPC is the global governing body for the Paralympic Movement and organises the Paralympic Games. It seeks to promote Paralympic values and create sports opportunities for people with disabilities, from beginner to elite level. ASTANA – A seven-man expedition led by experienced Kazakh alpinist Vassiliy Pivtsov has set out from Askole, a Pakistani village near the city of Skardu, to climb K2. Located in the same country, the world’s second highest mountain after Mount Everest rises 8,611 metres above sea level. The expedition will last 60 days. K2. Photo credit: The Atlantic. The expedition includes Kazakh alpinists Tursunali Aubakirov, Dmitry Muraviev and Pivtsov; Russians Roman Abildaev, Artem Braun and Konstantin Shepelin, and Mikhail Danichkin from Kyrgyzstan. Pivtsov, 43, is a highly experienced mountaineer who has ascended to the summits of the world’s 14 mountains above 8,000 metres, a feat considered among the ultimate goals for alpinists. The team will climb without oxygen, attempting to make history by ascending K2 in winter. The peak is the only one of the world’s 8,000ers still unclimbed in the season despite attempts in 1987, 2002 and 2012. “The idea to climb K2 in winter did not leave me, since my last attempt was as part of the winter Polish expedition in the 2002-2003 season. Our team is working to always be fit. Over the past several years, we have been organising expeditions to our local six and seven thousanders to put us into conditions similar to those we might face at K2,” said Pivtsov. The mountain, which rises above the Karakoram range spanning the borders of China, India and Pakistan, is among the world’s most challenging peaks particularly in winter, when weather conditions are harsh and unpredictable. Many expeditions ended tragically. Only 306 climbers have reached the top and 84 died trying, compared to the more than 4,000 who have ascended Mount Everest. Though it is lower than Everest, K2’s topography is considered tougher. The peak is known for its steep nature and diverse landscapes that mountaineers must pass to get to the base. A second international team led by Spain’s Alex Txikon is attempting to climb K2. 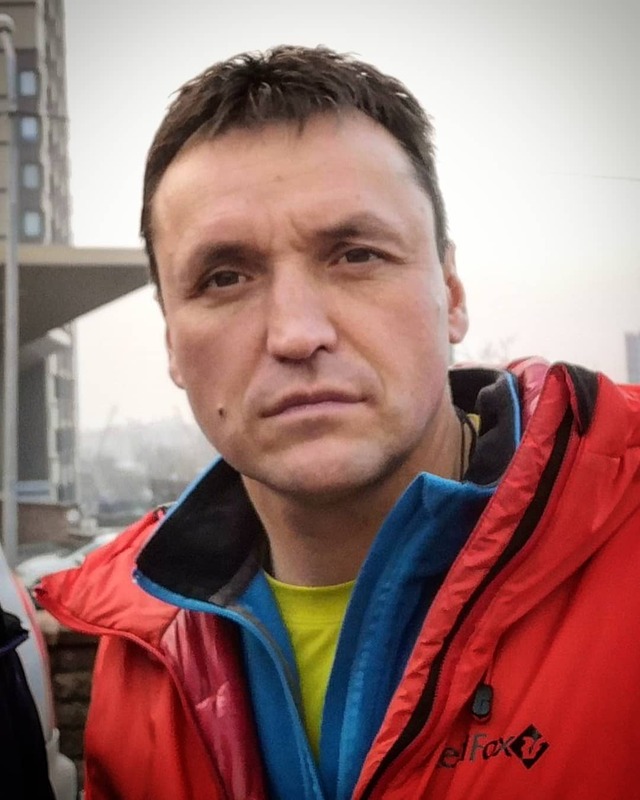 Last year, a Polish team, including Kazakh citizen Denis Urubko, failed to reach the summit following disagreements within the group and adverse weather conditions.